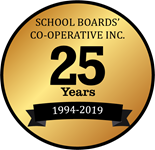 SCHOOL BOARDS' CO-OPERATIVE INC (SBCI) is a not-for-profit co-operative, established in 1994 by a number of Ontario school boards to provide advice and guidance on workers’ compensation issues. We currently provide this service to the majority of Ontario’s school boards. Since 1994, our services have expanded to cover Health & Safety and Attendance/Disability Management. This expansion supports our view that all disability claims should be managed uniformly and ultimately begins with the prevention of absences. 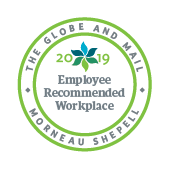 As your partner in creating and maintaining a Healthy Workplace, our promise is to support school boards by providing a continuum of services that promotes wellness, prevention, rehabilitation and return to work. In addition to the human aspects dimension of disability management, SBCI also provides financial analysis of disability benefits including sick leave utilization studies and actuarial liability calculations for WSIB benefits, accumulated sick leave credits, retirement gratuities and post-retirement benefits. SBCI leads the way in helping school boards produce and maintain a healthy workplace. Copyright 2015 by School Boards' Co-operative Inc.